Battlefield V has finally been revealed, and the first details on the next entry in the series have also been revealed. DICE has a lot to define yet, and it seems like there’s a discussion regarding a possible battle royale mode. Speaking with Eurogamer, DICE’s Creative Director Lars Gustavsson commented on a possible battle royale mode, saying that it would be a good fit for Battlefield V. Nothing, however, can be confirmed at the time. For us, I play it a lot with the kids at home and we really enjoy it. It’s an amazing journey for us, we often come together and talk about how it’s a good fit for Battlefield, all of our vehicles and the sandbox and everything. So there’s definitely talks happening and lots of excitement at where the market is heading, but there’s nothing we can talk about. Commenting on a possible player number count, it seems like the sweet number would be 64 players, as that brings a high intensity on the battlefield. It’s interesting, I remember the design document for Battlefield 1942 which I have at home, and it says 128 players. But since then when we came out with 64, the time to battle and everything… We’ll see where we push in the future, but 64 players, we feel we have a high intensity on the battlefield. Lars Gustavsson also commented on the lack of Premium Pass, a first for the series. One of the reasons is that the team didn’t want to split the community with paid gameplay content. Moving away from the past is really… We want, and there’s been community feedback for a really long time – and it’s been a dev wish as well – to not be counter-productive, splitting the community after launch. We pour out some of the best content we’ve ever done post-launch, and still we splinter the communities, and it doesn’t get properly utilised. Everything impacting gameplay will be available for everyone. And then of course we have cosmetics and so on, and that can be unlocked but you’ll be able to purchase them as well. Microtransactions will be in, but only for cosmetics, as anything else would disrupt the delicate balance of the game. 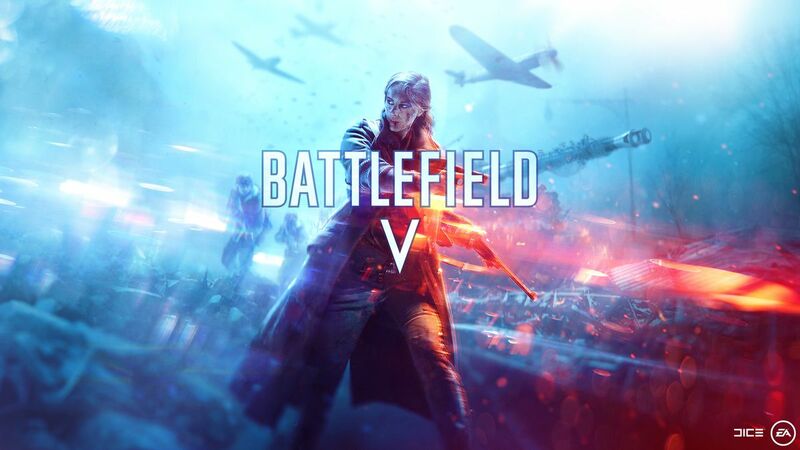 I’ve been with the Battlefield franchise since the start, and gameplay is what matters – Battlefield is built on the rock paper scissors method meaning that no weapon on the battlefield is more powerful than another, and if that doesn’t happen then we’ve failed as developers. When you get more weapons you get differences, but you don’t get better tools. In that we’ve been walking a pretty good balance on Battlefield. The big thing here is removing the pass. Battlefield V launches this October in all regions on PC, PlayStation 4 and Xbox One.